What is a Bat Bug? Bat bugs are blood-sucking parasites that feed on the blood of bats. They will also bite humans. These parasites are closely related to bed bugs and often mistaken for them. In fact, microscopic identification is one of the only ways to distinguish between them. Bat bugs are flightless and travel by crawling. Bat bugs are moderately common in the Midwest, including Illinois. They are found in buildings and homes in which bats are present. They usually reside close to the bat’s roosting area, but will venture throughout the building if the bats leave or are removed. They do not live on bats, but may travel on a bat while they fly. Bat bugs feed on the blood of bats but feed on other warm-blooded animals. They will feed on humans if given the opportunity. They can survive a year without a blood meal, but will search for human hosts if bats are not present. Are They A Threat To Humans? 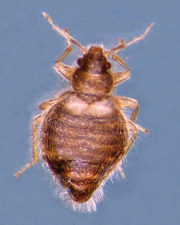 Bat bug bites are nearly identical to bed bug bites. There are a variety of different reactions that come from a bat bug bite. Some experience inflamed, swollen spots, others have intense itching, and others show no signs of bites. Bat bugs are not known to transmit any diseases currently. Though they are not dangerous, they are pests that can breed fairly quickly and become an infestation. If you discover bats in your home, garage, or nearby property call animal control immediately. Removing bats from your property will immediately decrease the risk of bat bugs. Be especially vigilant for bat presence in old or abandoned buildings like barns and sheds. In addition, minimize risk of bats and bat bugs entering your home by sealing small entrances between the roof, siding, foundation, windows, and doors. If you believe you have bat bugs, call a pest control service to identify and eliminate them. This entry was posted in Bats and tagged bat bugs, bat parasite, bat removal, bats, bed bugs and bat bugs on June 18, 2016 by Attic Solutions. There are 12 different species of bats that live in Illinois. Some hibernate in Illinois, while others migrate to warmer states. The most bat-heavy area of the state is in the southern area of Illinois, near the Mississippi and Illinois rivers. Read more to find out about Illinois bat species. Big Brown Bat – This bat is medium sized with a 11 to 13 inch wingspan. They are insectivorous and eat insects active at night such as moths, mosquitoes, and beetles. These bats are commonly found all over the United States and live over 10 years. Big brown bats can fly up to 40 mph! 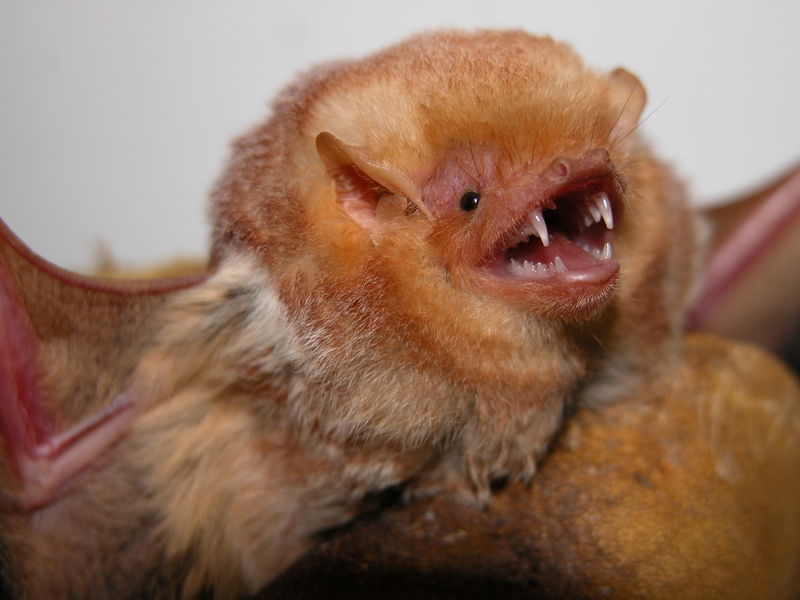 Eastern Red Bat – This medium sized bat is known for its red or chestnut colored fur. They are commonly found among branches of hardwood trees. 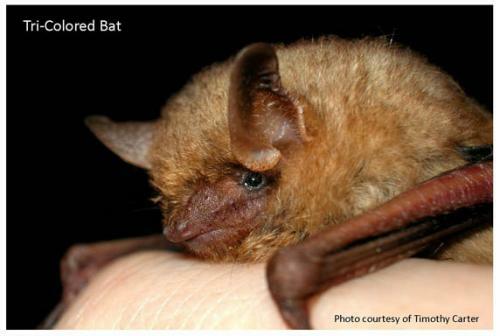 The eastern red bat forages for food in open spaces. Gray Bat – These bats are cave dependent and rely on caves, as opposed to other structures like trees or buildings. Disturbance in caves can be extremely detrimental to their population. They were once considered endangered in the late 70s. Through conservation efforts the population has restored. Little Brown Bat – This bat is one of the most commonly found in America. They prefer to roost near water sources and are found in caves, buildings, trees, natural hollows, and woodpiles. Their survival is currently highly threatened due to white nose syndrome. Northern Long Eared Bat – These bats are known for their relatively long ears. They also have a longer tail than other myotis bats. This species tends to live in boreal forests. In the fall, these bats migrate to hibernate. Silver-Haired Bat – This medium sized bat is mostly black in color, though their fur is white tipped. They roost in tree cavities and bark crevices. Their coloring makes them difficult to spot while roosting. This species prefers to eat moths but will eat spiders as well. 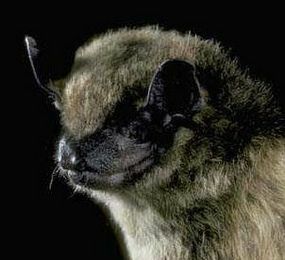 Southeastern Bat – This bat has a wingspan of 9 to 11 inches. Their fur ranges in color from gray to orangeish-brown. They like to hunt and feed over water. 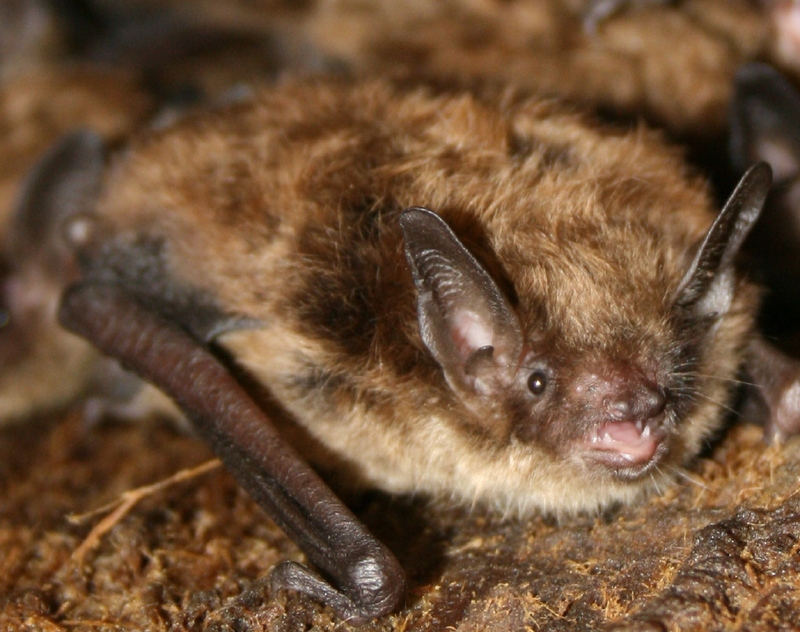 The Southeastern bat sometimes roosts with Rafinesque’s big-eared bats. They can be found in southern Illinois. These Illinois bat species are generally harmless and avoid human contact. However, if you discover a roost or bat in your home, contact animal control to have them safely removed. This entry was posted in Bats and tagged bat removal, bat removal chicago, bat removal illinois, bat species, bat species chicago, illinois bat species, illinois bats, species of bats in illinois on June 13, 2016 by Attic Solutions. White Nose Syndrome Cure For Bats? Over the last decade, white-nose syndrome has killed more than 5.7 million bats across the United States and Canada. The disease was originally discovered in New York in 2006 and has spread at a rapid pace across the country since then. The Illinois Department of Natural Resources recently issued a statement cautioning Illinois residents that entire bat populations were dying throughout the Eastern United States while they hibernated in their caves and mines. White-nose syndrome is named for a white fungus or mold (Pseudogymnoascus destructans [SU-doh-JIM-no-ASK-us DIH-STRUK-tans], also known as Pd) that grows on the nose and wings of infected bats. The fungus eats holes in the wings of bats, which causes them to become too weak to hunt. The bats eventually lose their fat reserves, which they need to survive during the winter and then starve to death. Interestingly, this same fungus does not kill bats in Europe because it seems to have evolved. This entry was posted in Bats and tagged bat control, bat removal, bats, white nose syndrome on July 27, 2015 by Attic Solutions. Discovering you have an uninvited animal living in your home can be both frightening and stressful. Wild animals can cause damages that are costly to fix and may even pose a health hazard. Not only can removing wild animals from your home be dangerous, there may also be laws and ordinances you aren’t even aware of governing the procedure. If you find yourself needing to hire a professional animal removal company, there are several factors you should take in to consideration. How does the animal removal company actually remove the animals? Attic Solutions believes in the providing the most humane animal removal service possible. Attic Solutions is also well versed in state wildlife law as well as local ordinances pertaining to animals and animal removal. Some animal removal companies offer full services, like Attic Solutions, while others only do the basics. Attic Solutions is committed to not only catching the wild critter, but also repairing any damage they may have caused and repairing their point of entry. Attic Solutions believes it is important to offer a full range of services and make sure your home is fully restored. Sometimes, you may not have a live animal causing the problems. If you are dealing with a carcass, many times local Animal Control agencies will not perform removal. A private animal removal company like Attic Solutions can do the dirty work for you. You will want to look at what types of animals a company. Is it primarily pest control? Rodents only? Or, is it a full-service company that can assist with you a variety of creatures? Attic Solutions has trained animal-removal professionals who are qualified to assist with a wide range of animals. Pricing is an important factor as well when choosing an animal removal company. Find out if the company charges by the hour, by the job, or even by the number of animals. Many times you might think you only have one little critter living rent-free in your home when really that one little critter has his entire extended family moved in! Always err on the side of caution and do not try to wild animals on your own. Without realizing it, you could endanger yourself or the animal, or even be in violation of a law or ordinance. Call a trained professional like Attic Solutions who are familiar with humane and effective animal removal procedures. This entry was posted in Animal Removal and tagged animal control company, animal removal, bat removal, bird removal, opossum removal, skunk control, skunk removal, spring animal control, spring wildlife control, squirrel removal on April 7, 2015 by Attic Solutions.